Final Fantasy VII remake to have occurred at E3 2018. The game was originally announced at E3 2015 and, with the exception of a short gameplay teaser at PSX 2018, there was no news. Development for the game was internally restarted when Square Enix decided to remove CyberConnect 2 as the game's developer and take over the entire project internally. The latest image comes from an off-screen shot of the game discovered by an Eagle Eyed fan uploaded by the official developer on his recruitment page. Those who played the game may remember that this is the fight against the Airbuster boss. 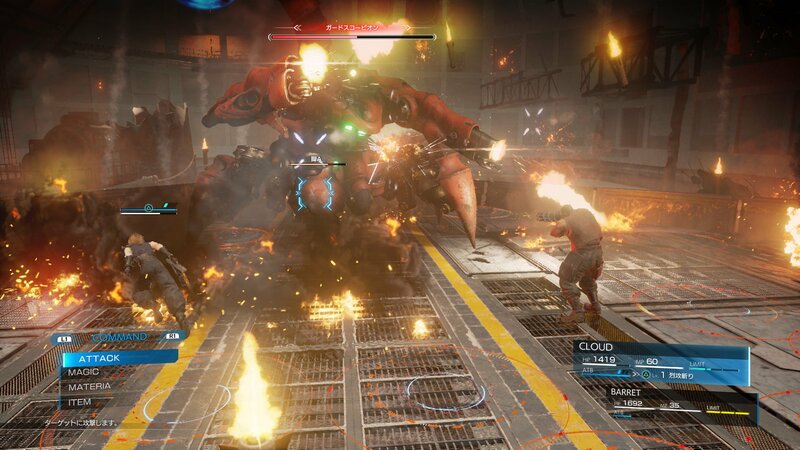 Final Fantasy VII Remake is a complete redefinition of the game from scratch, with the original creative team behind it. It is developed on Unreal Engine 4 and directed by Tetsuya Nomura. Yoshinori Kitase, who was the director behind the original release, serves as the producer for this remake, while Kazushige Nojima is the lead author of the remake. Final Fantasy VII remake was announced as a timed exclusive PlayStation 4 and originally planned to launch in episodic form. This may have been scrapped after the development of the game has shifted internally, as the original plan was to get the game as fast as possible with the help of CyberConnect 2.